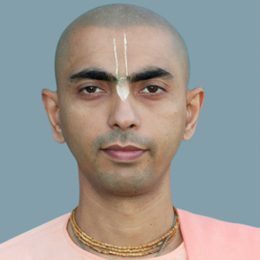 Sri Amitasana Dasa is a full-time missionary with ISKCON Bangalore since 1992. He heads the extension centre of ISKCON Bangalore at Whitefield, which has created a vibrant community of devotees. He is highly experienced in delivering youth oriented spiritual lectures. His week-end seminars and workshops on personality development based on the Vedic wisdom have immensely benefited hundreds of students and young professionals from all over the city. By attending his sessions, they have been inspired to lead a life of happiness, health and peace of mind, guided by spiritual principles. Under the ‘Life Sublime’ program, he has also provided counselling for several people through one-on-one sessions in order to help them grow spiritually. His lectures are unique; they are a blend of theoretical knowledge and its practical application in life. He teaches you to implement the philosophy with a humble approach. You can download and listen to his discourses on the Bhagavad-gita. They are available on SoundCloud.